Peter McLean, Senior Vice-President of Kalmar Asia-Pacific, said: "We have been working with PSA on the maintenance of their equipment for more than 11 years. This contract is a testament of the work we have delivered to PSA during the past years. PSA Singapore, being one of the busiest container ports in the world, runs at 24/7 and it is crucial for them to maintain a healthy fleet of equipment. As one of the leading original equipment manufacturers (OEM) for mobile equipment, we are happy that PSA has awarded us this tender. While we provide new cargo handling solutions to our customers, it is also our ambition to be involved in the total life cycle of their equipment. 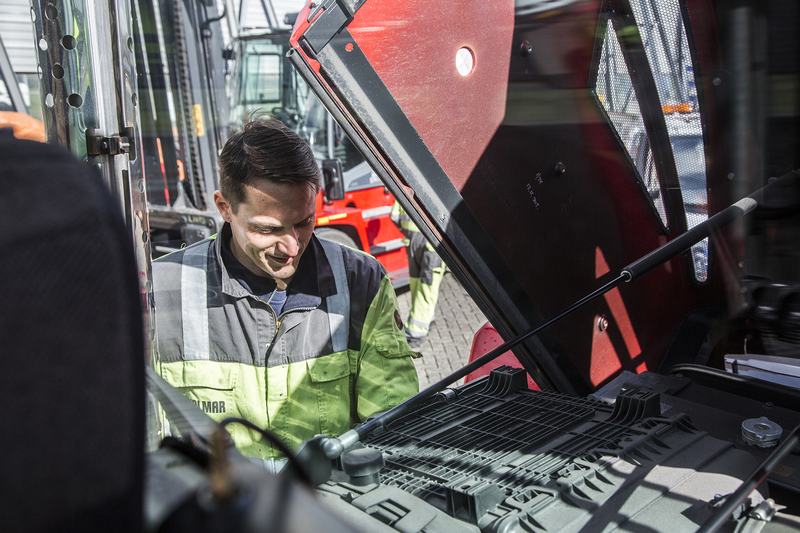 With Kalmar Care quality maintenance, we are able to extend the lifetime of our customer's equipment fleet, reducing their total cost of ownership." Kalmar provides quality maintenance care to various customers globally. In the Asia-Pacific region particularly for PSA, Kalmar maintains and supports their day-to-day operations to secure maximum availability and uptime for the equipment fleet. In Singapore, Kalmar has a dedicated team of over 50 maintenance and service staff working for the various PSA terminals.